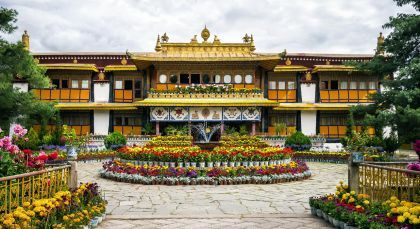 This short tour of Nepal and Tibet takes you deep into the heart of centuries-old capital cities, set on the roof of the world! 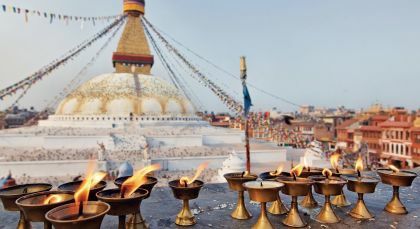 Cradled within the tallest mountain ranges in the world, Kathmandu and Lhasa are cities of contrast, offering breathtaking beauty, spiritual sanctuary and the restless bustle of maze-like brick-laden streets meandering around stunning UNESCO World Heritage sites. Discover heritage haunts, revered pilgrimage spots and glittering high-altitude lakes, break bread with locals, and witness ritual ceremonies that will sooth your soul.